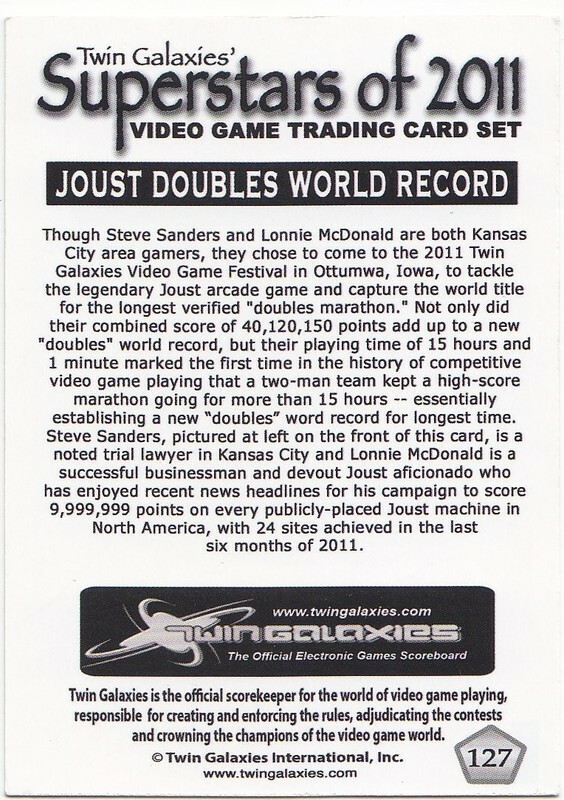 Joust Doubles World Record set by Steve Sanders and Lonnie McDonald at Twin Galaxies Video Game Festival in Ottumwa. Iowa, November 11-12. 2012. Card signed by Lonnie McDonald. 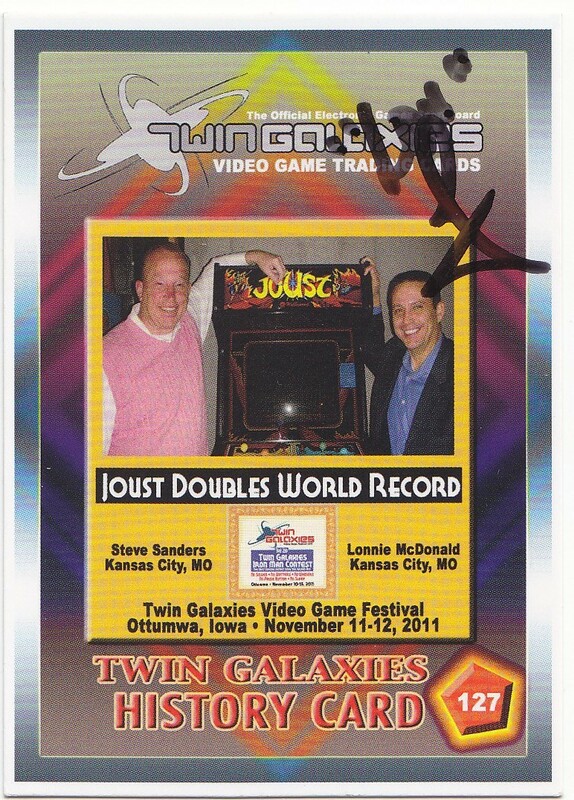 “Joust Doubles World Record trading card,” Digital Game Museum Collection, accessed April 24, 2019, https://www.digitalgamemuseum.org/collection/items/show/2360.